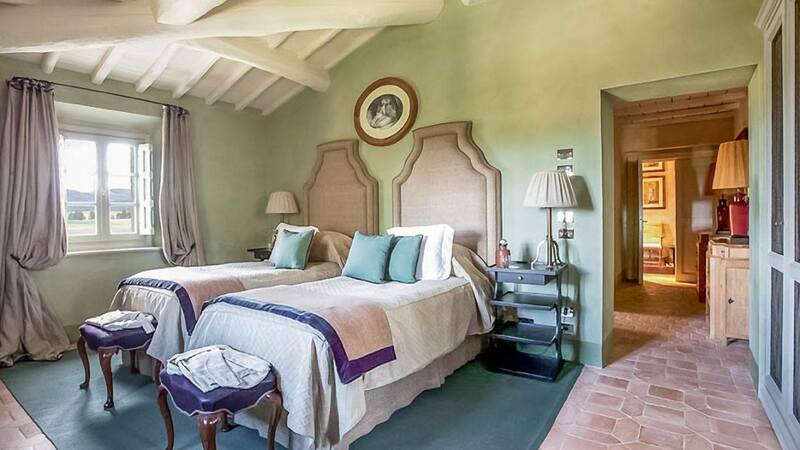 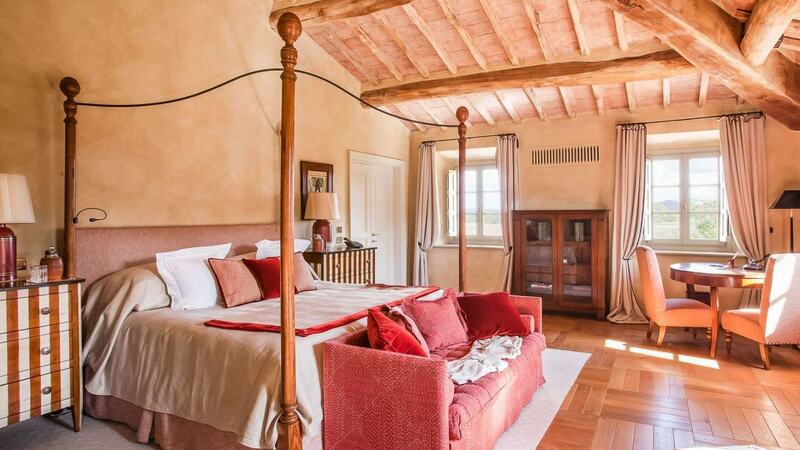 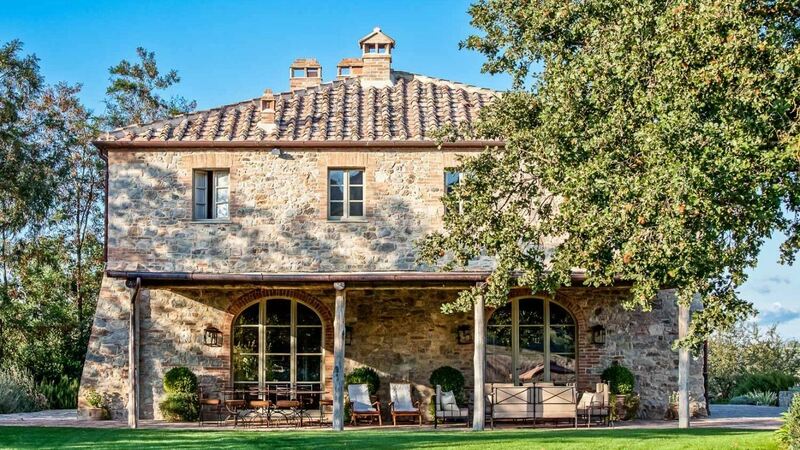 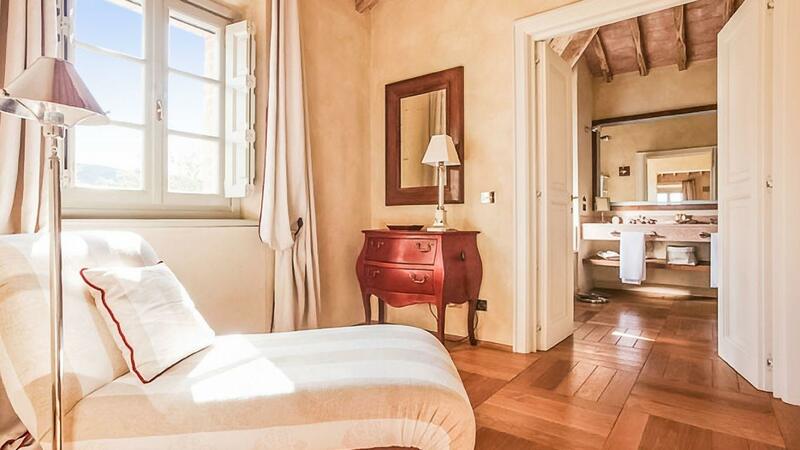 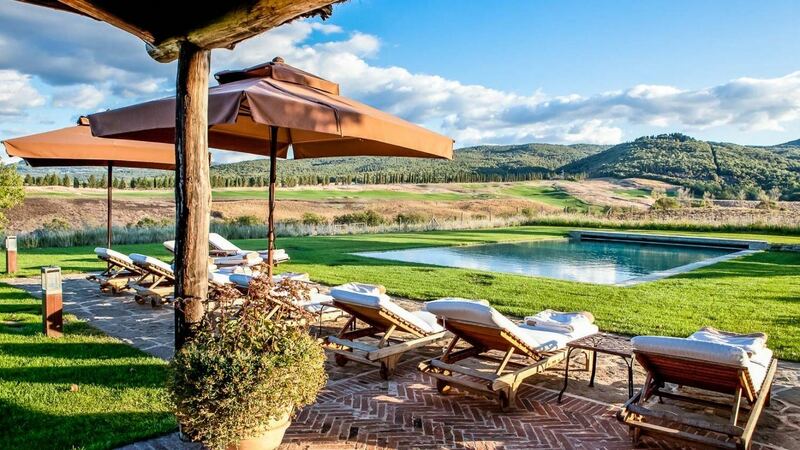 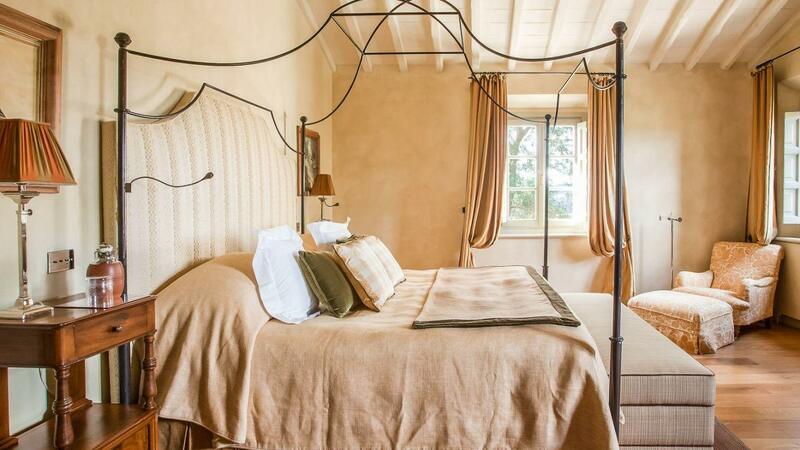 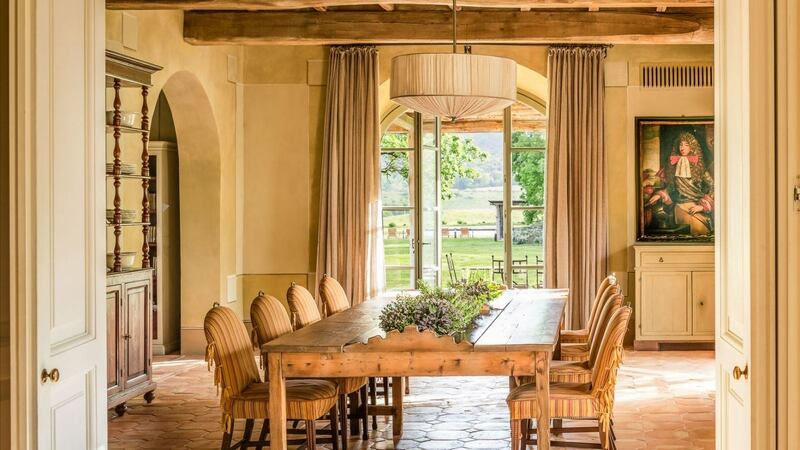 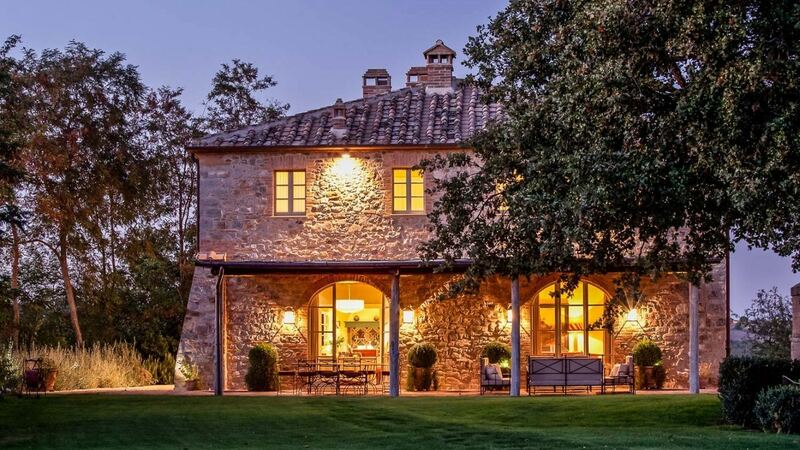 Villa Julie is set on the estate of Rosewood Castiglion del Bosco in Tuscany’s Val d’Orcia region and pairs the charm of a traditional Tuscan country house with resort-worthy amenities and a stunning setting amid vineyards and a golf course. 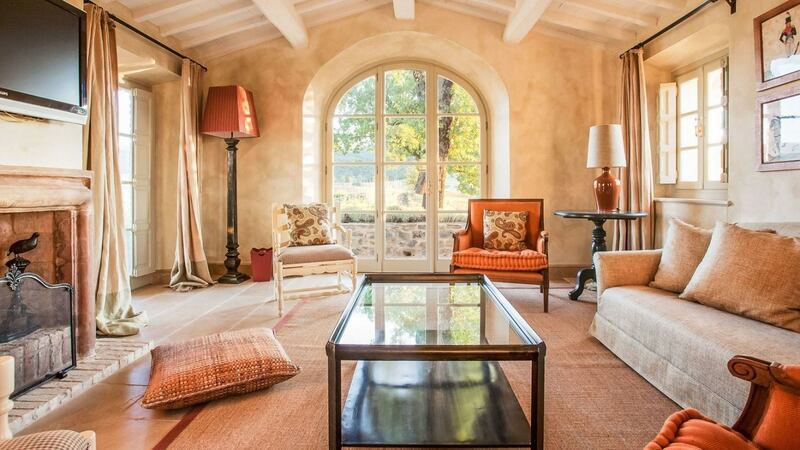 Furnishings are simple and comfortable, striking a balance between antique-style wood side tables and clean-lined, neutral modern sofas. 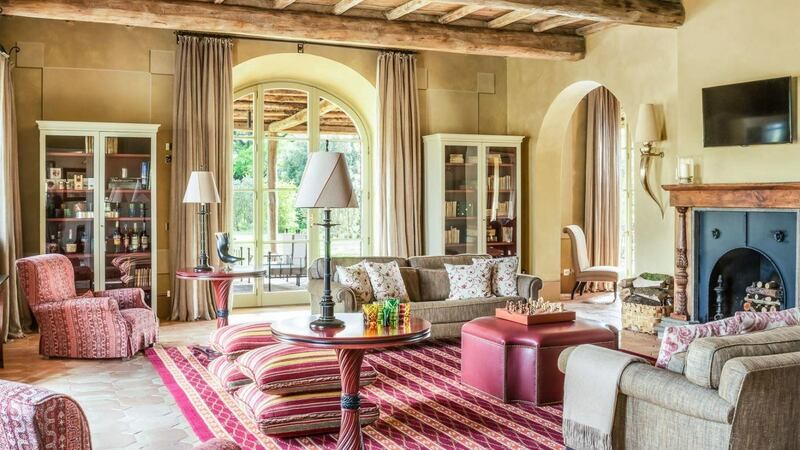 The living room nods to rustic Tuscan style with a rug and cushions in rich reds and golds. 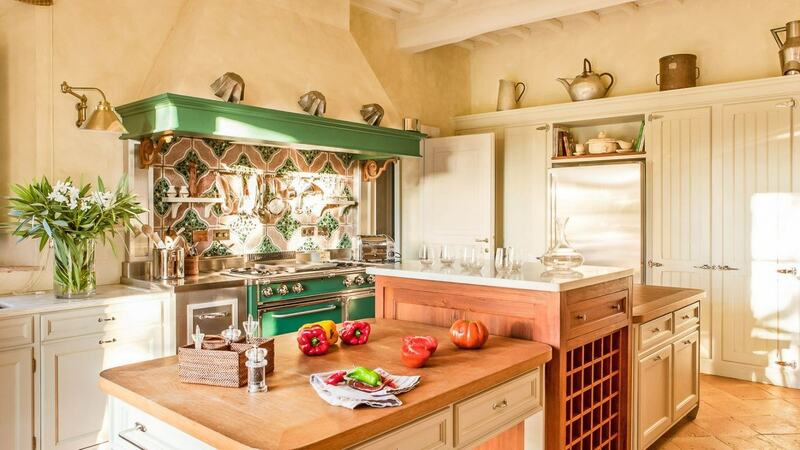 The dining room is open and airy, and the fully equipped kitchen is equally cheery and bright. 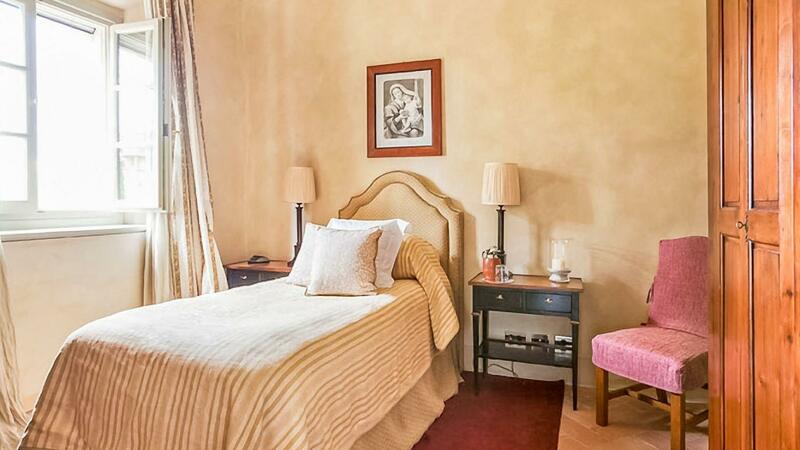 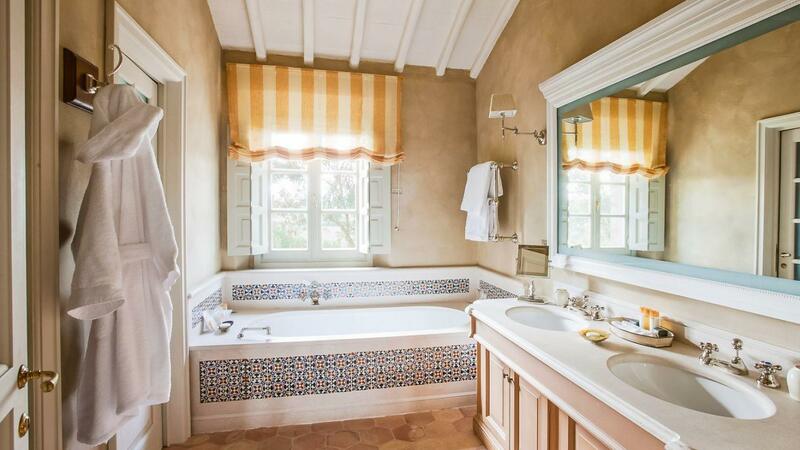 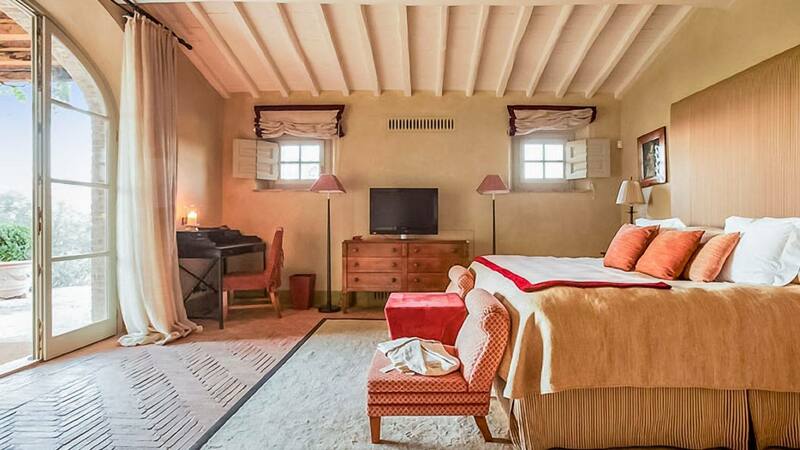 There are four bedrooms in the main villa and one bedroom in a separate guest house. 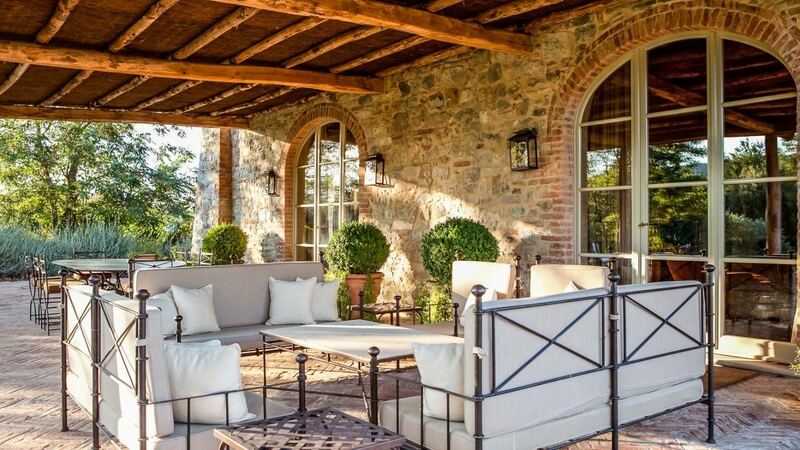 If the villa’s views over the countryside and golf course aren’t enough to tempt you outside, its outdoor spaces certainly will. 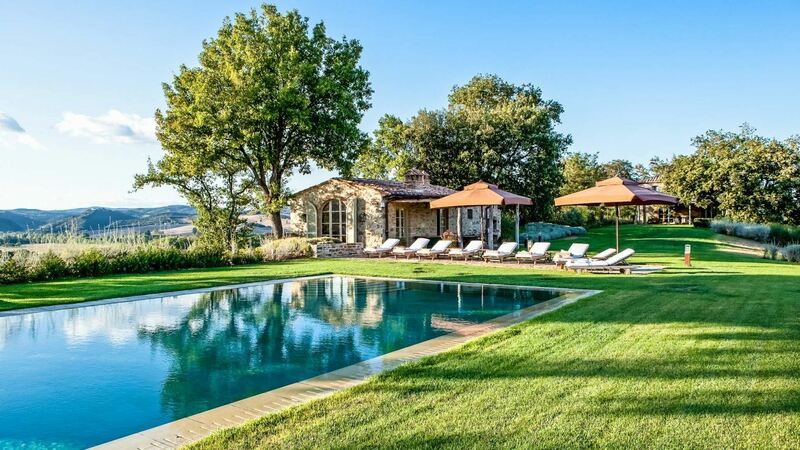 There’s a heated pool and pool house for lazy afternoons, a pizza oven and covered outdoor dining and sitting areas ideal for an al-fresco dinner or glass of wine.